Another week down and only one more week to go until school starts! Part of me is sad because I’ll miss spending so much time with my babies, not having to set an alarm, and not having to rush anywhere if we don’t want to. But the other part of me is absolutely ecstatic because, honestly, y’all? I’m exhausted. Staying home with these kids 24/7 is definitely the most exhausting thing I’ve ever done, and frankly, I’m tired. These last few weeks I’ve gotten pretty lazy (and not in a good way) which is a rarity for me, and I’m really looking forward to having some structure again. And having a clean house. And eating healthier. And working out again. And having a break from Olivia’s incessant chattering/singing/humming/kissing me over and over/smacking my leg/playing with my hair/destroying the house. All. Day. Long. I love these babies, but I’m ready for some QT. I thrive on alone time and it’s been a reeeeally long time since I’ve had any. Especially this week because Brian has been in Chicago! Now for some favorites for this week! 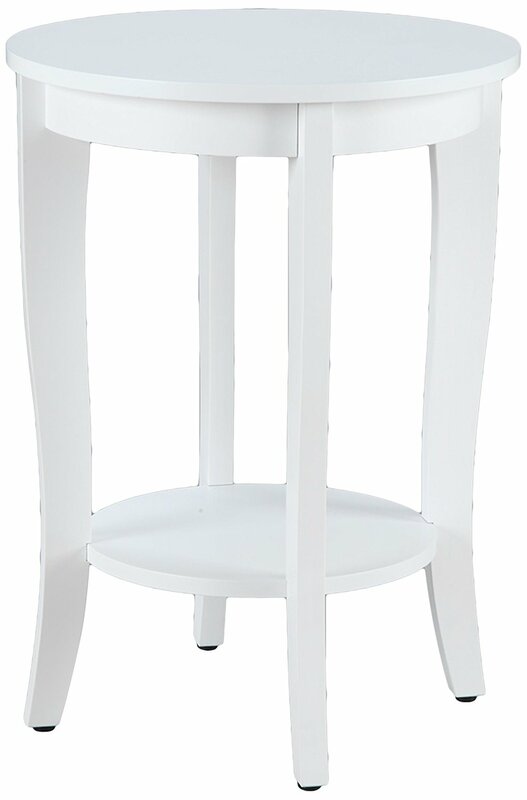 If you’ve been following along on Instagram stories, you know I’ve been in hot pursuit of a white side table for my reading nook in our bedroom. Well friends, I found the perfect one and I could not love it more! Every single time I walk into our bedroom now it makes me smile. Every single time! I’ve had tons of people ask about it so I thought I would throw it in my post today since it is, in fact, one of my very favorite things this week! The table is actually from Amazon of all places. Then again, why would it not be? They have everything! They have raised the price slightly from when I purchased it, but it’s still a great deal compared to some of the other tables I found when I was looking. It only took about 20 minutes to put it together and the quality is excellent. Mine came in perfect shape and I am honestly very impressed and pleased with it. It is so elegant. It also comes in several other colors – black, pink, blue, espresso, gray, mohagany, and sea foam – in case you’re looking for a table in a different color. And a lot of the other colors are cheaper than the white one! We have been a little displeased with our Old Navy sandals that we bought for Olivia this year because they will not stay on her feet. I have been trying to find some quality sandals that will last, but I haven’t really known where to look. My friend Katie has two darling little girls who are friends with my littles, and every single time I see them they always look adorable in their matching brown sandals. I recently remembered to ask Katie about them and she told me that they are Saltwater sandals. Apparently they have been around forever and they are the best sandals ever for little girls. They are made from real leather so they hold up well, and my friend Katie said her girls never get blisters or have discomfort from them. I bought a pair for Olivia and we are getting ready to break them in this week. I bought them a size up so she will be able to wear them for the rest of this summer plus next summer at least. Since they are real leather they stretch with the kids’ feet as they grow, so everyone says that the kids can usually wear them for at least a couple of years. That, my friends, is getting your money’s worth! And they are darling! They come in lots of different colors, too. I ended up purchasing three tops from the Nordstrom sale with my gift card that I had been holding onto since Mother’s Day. Only this top has been delivered to me so far, but man oh man I love it!! It is so soft and it fits like it was made for me. It’ll be great for wearing alone, with a scarf, or with a puffer vest, but I think I’m most excited to pair it with my very favorite black and white buffalo check ruffled vest. Oh fall, I’m so ready for you!!!! I’ve recently been trying to add tiny blush accents to our bedroom, and I have been wanting to find some (fake) pink peonies to put on my bedside table. My first instinct is to always go straight to Hobby Lobby for artificial flowers because theirs are the best, but to be honest I didn’t feel like making another stop when I was out with the kids the other day. Y’all know I’m crazy for Amazon, and I don’t know why it’s never occurred to me to check there for fake flowers. Well, I finally did and I found these beauties! They look really good considering they’re fake, and they were only $9.90 for FIVE STEMS. At Hobby Lobby they would have cost three times that, I’m sure. I love Hobby Lobby, but their floral section ain’t cheap unless you get it when it’s 50% off! I had a bunch of people PM me about these on IG, so here they are, y’all!! I know I already mentioned this in my weekly post the other day, but our kids are so obsessed with it that it’s definitely worth mentioning again. We bought the Hot Wheels Super Ultimate Garage for Jacob for his birthday and the kids have literally played with it for hours every single day this week. HOURS, Y’ALL. It does so many cool things and it would make the perfect Christmas gift! If you decide to grab one, be sure to purchase it from Walmart because it has a special section that you can’t get when you buy it on Amazon… and that special section is our kids’ favorite part of the whole thing. Also, it’s currently on rollback at Walmart for a limited time so that’s even better! If you’re anything like me then you are probably already starting to think about Christmas, so now is the time to get it – while it’s on sale and they actually have it in stock!!!! Well, our house/Maui sitter arrived this morning and we are heading to Atlanta for a little weekend getaway! You can follow along with the fun on Instagram Stories! Happy weekend, y’all! We bought lots of furniture on Amazon after we were flooded last year. All of it turned out to be great! Rugs too. 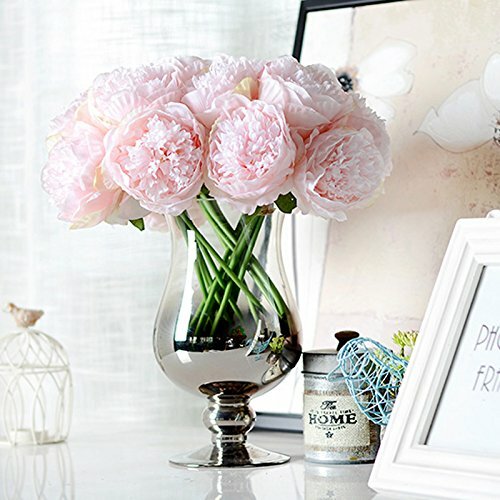 Love the peonies! Have a wonderful weekend! LOVE all your stuff to pieces. That top...green is so good on you! Ordering those flowers now for my office. GREAT lil side table and even better...beautiful you..Happy weekend! I LOVE that top...I may need to get it! It would go perfect with my new skirt! And everything else! That table was definitely worth the wait / looking. It fits in so well with the style of your other furniture and seems to be the perfect size. Hope you have the best time in ATL! Have so much fun! 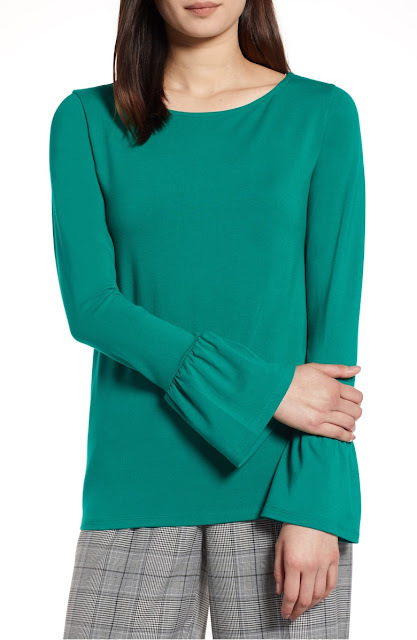 And that green looks amazing on you, I may need to get it now. I can understand how you are ready for some time of your own, we all need it lady. I wish E could wear sandals to school , but no open toe and she is picky about shoes and refuses to wear anything cute. Ugh , these girls. Everything here is awesome! I love that top on you. I know what you mean about summer time and wanting the kids to go back but at the same time not wanting them to go back! Those flowers are gorgeous! I checked out that top, I need to get it. Enjoy your weekend! Those flowers are so pretty. 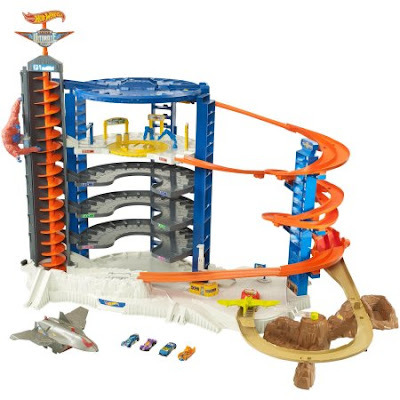 Hot Wheels garage is always a winner! I hope you enjoy your weekend! That little table is the perfect addition to that spot! Now that you're using your old glider for a reading nook, I've tried to look at more quality gliders instead of cheapo ones. I'm glad you mentioned that!! Happy Friday! Saltwater sandals are the best.. love them for my girls!! Super cute table and I'm saving the peonies on my Amazon list. What a great find! Thank you! Yes, the peonies really do look great! I need to check out those shoes. My girls burn through their sandals quickly. Love that table!! !